Mitra Innovation is a fast-growing UK based technology solutions provider specializing in digital transformation, cloud enablement, and software development, with a powerful engineering branch in Sri Lanka. They are the first UK based company to be named a WSO2 Premier Certified Partner, with many successful projects under their belt, globally—And they position ‘employee development’ at the top of their strategic and succession plans. When it comes to developing high-potential employees, companies need to have a foundation for an enjoyable culture, with programmes and resources that help develop communication and leadership skills. For Mitra Innovation, Toastmasters is a key partner in achieving this. Mitra’s Toastmasters Club consists of well-known heavyweights like Dananjaya Hettiarachchi - World Champion of Public Speaking 2014, and the first South Asian to win such a title, who is the CPO at Mitra, Arfath Saleem - a Finalist in 2015 and a Senior HR Executive and Trainer at Mitra and Harshan Senadhira - Area Director at Toastmasters and a Senior Project Manager at Mitra. Maleen Abewardana - The Vice President at Mitra Toastmasters and a Senior Software Engineer at Mitra and Kavinda Akmeemana - The President of Mitra Toastmasters and the General Manager at Mitra have led this club through many notable milestones since its inception last year. So, it’s evident that their Management Team can coach and build teams that work well together; making employees feel good about their future and that of the Company. “Our culture is about empowering people through growth and learning opportunities. 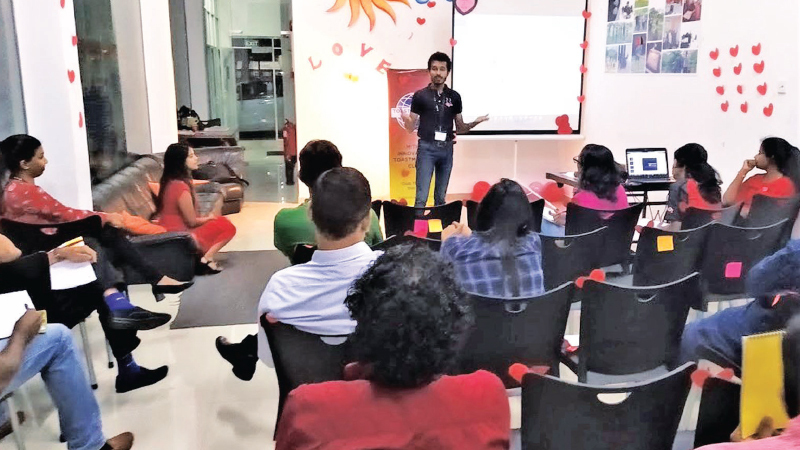 The happier and more professionally fulfilled our employees are, the more productive and successful our company is,” says Ashok Suppiah, Founding CEO of Mitra Innovation.